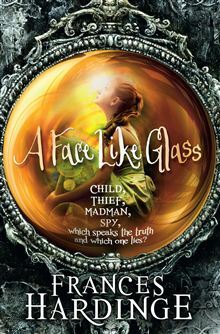 A Face Like Glass out in Paperback! To celebrate this, for the next fortnight or so I will be inflicting myself on the public at large, visiting schools, libraries, and bookshops. I will even be invading the airwaves, courtesy of BBC Radio Oxford. A full list of these events can be found here. 3 Responses to A Face Like Glass out in Paperback! Also, speaking of “papery apparel,” have you ever seen the wonderfully rich and strange paper costumes of Isabelle de Borchgrave? Be sure to click through the pictures — it’s almost impossible to believe it’s all paper. I’d never seen these before. They’re beautiful, aren’t they? I’m fascinated by paper sculptures in any case, and these look as though you could wear them.